At the Carrollton dental office of Kimberley Capua, DDS, we offer patients a wide range of dentistry services under one roof, but what may be even more important to us is that we offer them a comfortable, welcoming dental office environment where they feel welcome, relaxed and right at home. Your trusted Carrollton dentist, Dr. Capua, and her dedicated dental care team truly care about helping patients get their healthiest smiles, and we always go the extra mile to create a pain and stress free dental office. If you’re new to the area or you want to learn more about dental care from our team, call to schedule an appointment today. 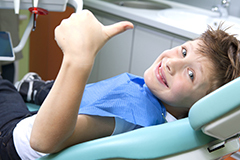 We look forward to helping you and every member of your family achieve your healthiest smiles for life with comprehensive dental care in our state-of-the-art Carrollton dentistry practice. Our office is centrally located for patients across the DFW Metroplex. We are near the intersection of Old Denton Road and West Frankford Road in the heart of Carrollton. We are easily accessible from many major highways including Interstate 35, State Highway 121, the President George Bush Turnpike, and the Dallas North Tollway. If you need help finding us, don’t hesitate to reach out to our team. We are always happy to help. 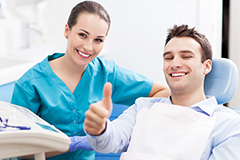 Great dental care is about more than just training and a good chair-side manner. Dr. Capua takes the time to carefully explain every step of the dental care process, answer questions, and truly make patients partners in planning their dental care. Her attention to detail and careful treatment planning mean you won’t have any unpleasant surprises. Quality dentistry services are our promise to you, and we do our utmost to keep that promise for every patient at every appointment.